couch-party 0.1.1 – A set of functions for building Couch/PouchDB driven community apps. spicy-action 6.6.0 – HTTP(S) proxy & Socket.IO relay for CouchDB and others. fun-pouchdb 3.1.1 – Thin PouchDB wrapper for convenient server use. pouchdb-react-native 5.4.17 – PouchDB Bundle for ReactNative. pouchy 10.1.0 – A simple, opinionated interface for the amazing PouchDB. What should I use as the document key to maintain idempotency? How can I write a timestamp-based map/reduce view to avoid updates in CouchDB? PouchDB synchronisation to Cloudant: how to synchronize deleted documents? “…can the internet make us physically ill? Is the internet bad for us in the way that going outside with wet hair is bad for us? According to a study (four words that are ruining journalism) – it is. This is the news that isn’t news, because the Mail just decided to republish year-old research, but it’s interesting.” – Is the internet making us ill? In case you missed it, we’re gearing up for the release of CouchDB 2.0 (now testing release candidate (RC) number 4!) and to prepare, some awesome volunteers from the Couch community came together to create a series of posts to help the community get ready for 2.0. The Road to CouchDB 2.0: An introductory recap by Jan Lehnardt, explaining the history of the project and some of the goals for 2.0. Fauxton, the new CouchDB Dashboard: Garren Smith wrote up this introduction to Fauxton, the new CouchDB web interface. CouchDB 2.0 Architecture: Robert Newson explains the approach to clustering in 2.0, and an update to the changes feed. Feature: Mango Query: In this post, Tony Sun discusses the addition of a no_error_found-less Mango Query feature for 2.0. Release Candidates: Joan Touzet presents some background on the release candidate cycle, and how to test an RC for yourself. Feature: Compaction: Mayya Sharipova and Jay Doane teamed up to explain compaction, both manual and automatic. Feature: Replication: In this post Nick Vatamaniuc examines one of the central features of CouchDB and what it looks like for 2.0. Migrating to CouchDB 2.0: For the final post of the series Sebastian Rothbucher shows you how to adopt CouchDB 2.0 for your own. 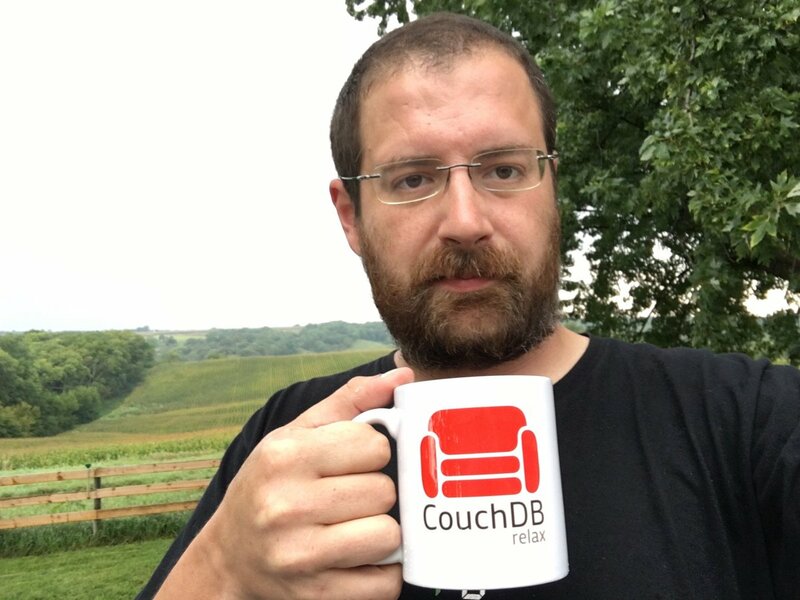 This could be you, with your very own CouchDB 2.0 mug!